FORT WORTH, Texas (March 4, 2013) - The annual spring NASCAR Sprint Cup Series race at Texas Motor Speedway will be retitled the “NRA 500” and serve as the first prime-time Saturday evening race of this season. The NRA replaces Samsung Mobile, which had served as the title sponsor of this race since 2002. Gossage made the announcement and unveiled the race logo during Texas Motor Speedway’s annual Media Day held in the Grand Ballroom of The Speedway Club. The NRA has had a relationship with the NASCAR industry for more than a decade on a variety of platforms. The organization continues to be a generous supporter of SMI’s Speedway Children’s Charities and its fund-raising events since 2000. The NRA has contributed more than $500,000 to the Texas Chapter of SCC at Texas Motor Speedway alone. NRA’s most recent race entitlement in the sport came last season when the organization was the title sponsor for the NASCAR Nationwide Series race known as the “NRA American Warrior 300” that was held Sept. 1 at Atlanta Motor Speedway. NASCAR owner Richard Childress is a current NRA board member and team owners and drivers have donated sponsor space on their cars to support the NRA in the past. NRA Executive Vice President and CEO Wayne LaPierre was unable to attend the event in person, but did provide a video message for the Media Day audience. Tickets for the NRA 500 are available by visiting www.texasmotorspeedway.com or by calling the speedway ticket office at (817) 215-8500. Established in 1871, the National Rifle Association is America's oldest civil rights and sportsmen's group. Nearly five million members strong, NRA continues to uphold the Second Amendment and advocates enforcement of existing laws against violent offenders to reduce crime. The Association remains the nation's leader in firearm education and training for law-abiding gun owners, law enforcement and the armed services. Be sure to follow the NRA on Facebook at www.facebook.com/NationalRifleAssociation and on Twitter @NRA. Texas Motor Speedway, with a crowd capacity in excess of 190,000, is among the largest sports stadiums in America and features an array of amenities that make it one of the premier venues in the world of sports. 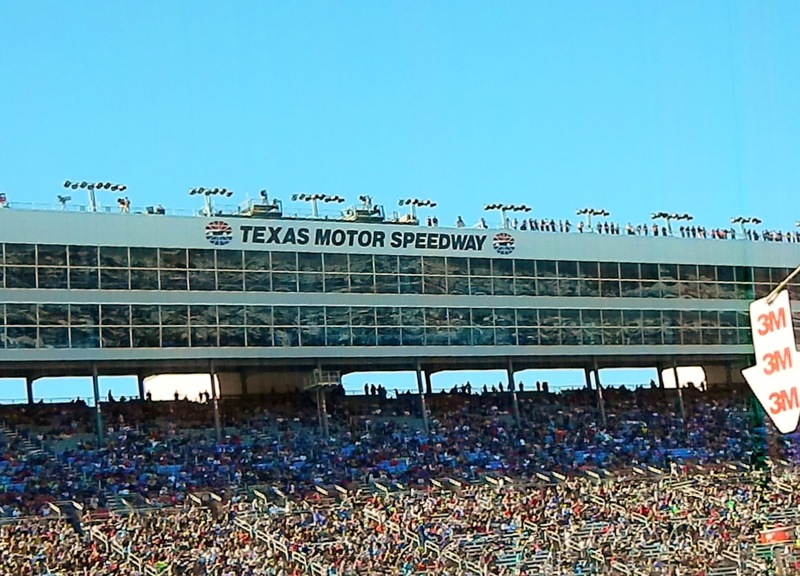 Known as “The Great American Speedway!,” the 1.5-mile superspeedway located in Fort Worth plays host to two races in the NASCAR Sprint Cup Series, Nationwide Series and Camping World Truck Series as well as one in the IZOD IndyCar Series. The attendances for the NASCAR Sprint Cup events since the facility opened in 1997 annually rank among the largest sporting events in the United States. Texas Motor Speedway is owned and operated by Speedway Motorsports, Inc. a publicly traded company that is a leading marketer and promoter of motorsports entertainment in the United States.